Jawwad is a Fellow Society of Actuaries (Chicago), a MBA from Columbia Business School (New York City) and a computer science graduate. 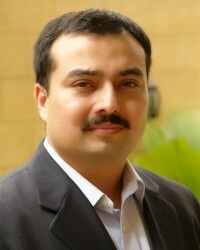 During the last ten years, he has worked as a consultant in North America, Pakistan and the United Kingdom with a number of blue chip clients including Hartford Life, Aegon, American General, Goldman Sachs, ING, Manu Life, Safeco, Merrill Lynch, Met Life, Sun America, Nationwide, Phoenix Life, Sumitomo Mitsui Bank, Sun Life of Canada, Pacific Life, AllState, Fidelity Investments, Transamerica, Skandia, GE Financial Assurance, Lincoln National, Ohio National, AXA Equitable and Washington Mutual Bank. He is a serial entrepreneur, an author of a book on failure and he teaches entrepreneurship in Pakistan, the UAE and Singapore.